After starting at New York City music venue and multimedia art cabaret (Le) Poisson Rouge, the Martin Audio North American Demo tour continues with demonstrations at the Olive Branch Community Church in Corona, CA and Beach Point Church in Fountain Valley, CA. Held on May 1 and 2, respectively, the demonstrations are scheduled for 2:00 p.m. and will feature Wavefront Precision Line Arrays, the new monitor XE and LE wedges, iKON amplifiers, and powered point source CDD-Live. The demonstrations will be run in conjunction with Martin Audio’s partner CCI Solutions and also feature SSL Consoles. 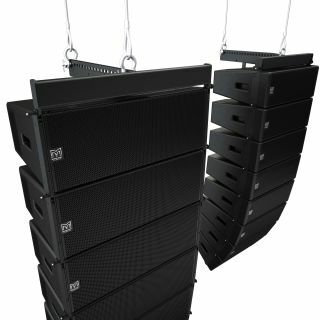 Already a fixture in leading installations such as the First Pentecostal Church in Little Rock, AR, Preston Trail Church in McKinney, TX, and Cabo Wabo Cantina in Cabo San Lucas, Mexico, Wavefront Precision multipurpose line arrays are designed to bring Martin Audio's signature sound, coverage consistency, and control to a broader range of touring applications, installations, and budgets. Designed as complete systems with external iKON multi-channel amplifiers and optimized by automated DISPLAY software, Wavefront Precision features scalable resolution for a more flexible approach to optimization of control, coverage, and consistency. XE monitors were developed in consultation with leading monitor engineers and combine low-profile enclosures with Coaxial Differential Dispersion technology and a third static waveguide, designed to deliver accurate monitor sound with a defined coverage pattern that allows the artist freedom of movement, while reducing overlap with adjacent monitors. Comprising three full-range models and two subwoofers, CDD-LIVE covers practically all professional standalone and distributed applications for live audio and installed sound. The speakers combine the point-source benefits of coaxial designs with the consistent coverage of Differential Dispersion technology to project sound evenly front-to-back while exhibiting wide horizontal coverage close to the speaker.